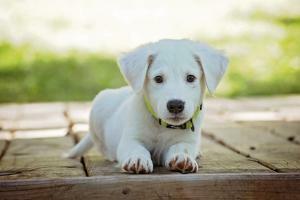 The lead up to bringing a new puppy or kitten home is filled with excitement and anticipation. But with so much to think about, it can be difficult remembering everything you need in preparation for the new arrival. Being prepared is key if you want your new pet to settle in quickly and comfortably. This means preparing your home, preparing yourself and preparing your pet for what's ahead. Beside remembering all the important items you need such as the bed, food and toys, there are other equally important arrangements that need to be made but which often get overlooked. These include initial vet checks, microchipping and taking out insurance. - A comfortable, quality bed that supports your dog and considers its size and sleeping preference. Large breed puppies may prefer to spread out so a mattress-type bed would be more suitable, whereas smaller breeds that are a bit on the shy-side might prefer a snug circular bed with high sides to nestle down in. The importance of a quality dog bed shouldn't be underestimated, as this is where your dog will spend much of its time. Cats should also have somewhere they can call their own and return to when they need to relax and feel safe. - A crate is a good investment as it provides a safe haven for dogs to sleep in and retreat to when things become a bit much. Contrary to what some people believe, crate training isn't a means of punishment but is an effective tool for training and ensuring your dog's safety. Reading 'A Guide to Crate-Training your Dog' will teach you the basics of not only choosing and introducing a crate or play pen, but also of when and how to use it. - Toys that help exercise, stimulate and comfort your pet, including balls, frisbees, tugs and teasers are all needed to help your pet settle in. Toys like these help you to engage and bond with your new friend which is crucial in the first few weeks. - Collar and lead, including an ID tag. - Litter box and litter. Remember to place your litter tray/box in a quiet area away from food and water bowls and particularly noisy places in the home. If you have more than one cat, each needs its own toilet as multiple cats won't want to share such a personal space. - Scratching posts are a must, as they can help prevent unwanted or inappropriate scratching in the home. Try to have a few of these dotted around so your kitten doesn't have to look too hard or wander too far to find one. - Choosing the right food is an important consideration for your pet and will often be influenced by what the breeder or shelter recommends. If your pet is thriving on a particular food, it might be worth continuing with it, or choosing a similar alternative as they age. Higher quality foods might be more expensive initially but could save you money in the long-run as your pet will need to consume less of it to get the nutrients it needs. Avoid foods that have a low meat content and are packed with unnecessary fillers like cereals and grain. - Your new pet is going to find the introduction to a new environment stressful, so use a calmer like SettleMe for Dogs which is designed to help reduce anxiety and stress-related behaviours. Adaptil (for dogs) and Feliway (for cats) are two natural pheromone-based calming ranges, including diffusers, sprays, collars and tablets. Because stress can sometimes cause digestive upsets in pets, it is useful to have a probiotic paste like DiaHalt to hand to help resolve any issues if they arise.